Is a high performance liquid additive bonding adhesive formulated for bonding new or old concrete to existing surfaces. 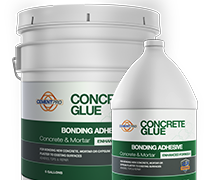 Additive recommended to increase adhesion, for bonding new concrete or mortar. Ready to use.